For the past several months, I’ve been working on getting my financial house in order. Especially since the #CoachYaDamnSelf Challenge is quickly approaching – I gotta walk my talk! 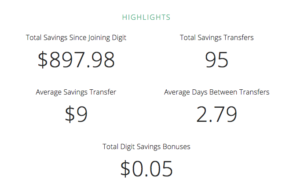 One of the tools that’s been helping me put away “mad money” is this FREE, automatic saving tool called Digit. Every morning, it sends me a text to my phone, letting me know my bank balance and about every other day it squirrels away a tiny bit of cash for me in a seperate savings account. Usually between $3 to $9. In the beginning, I consistently withdrew the cash right before payday when I found myself with more month than money. Literally, from December till now, I was withdrawing the money every month that was being automatically saved. 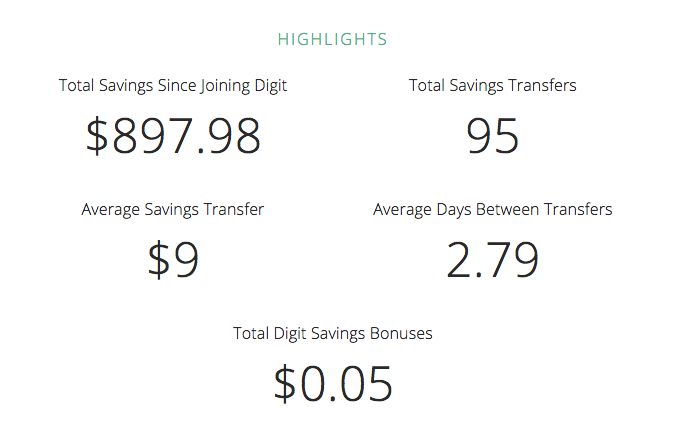 However, now – for the first time ever, I’ve saved without touching it and I have about $230 in there! Now that I’m able to save without noticing, this morning I just text the app to “save more” to see how much more aggressively it’s going to save for me. I’m really excited to see what happens! 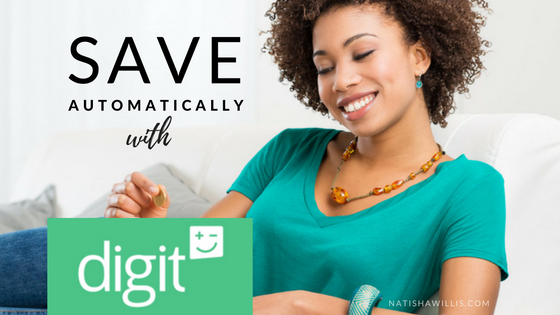 If you’re interested in saving a little bit more, take a look at digit – it’s been a life saver for me. 1. All money is FDIC insured up to $250,000. This means I feel safe using it. 2. You can withdraw money anytime you want. Which means when I really need the cash, I’ve got it. 3. Digit is safe. Digit uses bank level security and your bank login is NEVER stored. P.S. Digit does show how much I COULD have saved had I not been dipping, but why make myself feel bad? Want to know more about Digit?